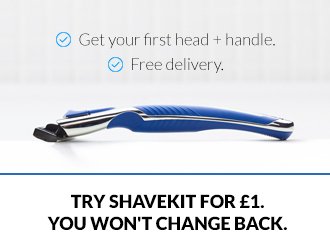 Try a better way to shave for just £1 for the 3 blade razor or £3 for the 5 blade razor. Both include a free handle and 1 replacement cartridge plus free delivery. The discount code SKSTART will be applied to your order. Trace your family tree with FindMyPast. Delve into your past and your family’s history when you take the this free 14 day trial! Get Pain-Free Resolution for Errors in Your Credit Simplified Credit Data That’s Relevant to You. Daily Credit Monitoring and Alerts. Free for 14 days, monthly fee of £14.99 applies after trial period. Improve the way you eat at work! Graze.com are the first company ever to send fresh fruit using the post. Eat amazing, natural food that just arrives at your desk. You can choose a box put together by their nutrition team, or set your own preferences so graze can make you the perfect box with that day’s freshest produce. Get a Free box of fruits worth £3.49 when you take the trial!